Hi! 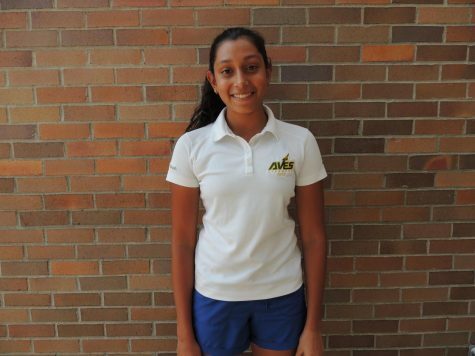 My name is Deeya Prakash, and I am a freshman here at SHS. Ever since I was a little girl, I have been obsessed with books. Reading has taken me to different cities, countries, realms, and universes, all while sitting in one place. I considered books to be magic, and I still do today. However, eventually I grew tired of being the audience, and decided to become the magician. As soon as I began to write, I fell in love, and I knew that this was something that I wanted to do for the rest of my life. However, up until now, I had only written fictional pieces- ones in which I could escape inside and bring my own characters and settings to life- and had never experimented with informative writing. That’s why I joined this class, and suffice to say, I have no regrets. This year, I will be part of the PR team, which deals with audience interaction, as well as a staff writer. I love my role in this program as it allows me to meet so many new people all while still getting the opportunity to write and explore this new style. I look forward to seeing what this year entails for me and I hope to grow as a writer with the help of my peers and teachers. Outside of school, I write a lot, mainly spending my time on rhyming poetry. I just love watching all of the words string together and form perfect stanzas in my head. I love participating in poetry contests, and it is also fun to win some along the way! In addition, I love to read (Surprise! ), draw, and hang out with my friends and family. I also play on the Sycamore Girls Varsity Golf team as well as swim competitively. Both of these sports have taught me commitment, determination, hard-work, and discipline, which have come in handy in other parts of my life. Some of my other favorite things include sea life (particularly orca whales! ), Broadway musicals, and Harry Potter, and as wizard Albus Dumbledore once said, “Words are our most inexhaustible source of magic.” I could not agree more.